Ask for Sativa or Indica strains. Throughout our culture’s long and dark history of cannabis prohibition, the cultivation and distribution of marijuana has been overwhelmingly male dominated. But it wasn’t always this way. In fact, in some of the earliest foraging societies women typically took the lead as both herb gatherers and healers. As we moved from small, polytheistic, matriarchal societies to large, monotheistic, patriarchal societies, female plant medicine providers became frequent targets of witch hunts and other coordinated campaigns of eradication, as they represented a serious threat to both “religion” and “medicine,” both male-dominated fields. The good news is that weed’s increasing cultural and legal acceptance has begun to close the ganja gender gap at last. And while the media only got excited once they discovered stiletto stoners, cannabis culture has actually long benefited from the amazing courage and conviction of its true OG females, who come from all walks of life and serve the herb as growers, dealers, healers, artists, activists, entrepreneurs, and political leaders. In Tuesday night’s episode of Weediquette on VICELAND, host Krishna Andavolu explores exactly how and why this new pot paradigm is encouraging more and more women to loudly and proudly proclaim their love of cannabis, as he spends some quality time with those at the forefront of a new, female-led marijuana movement. So to provide some historical perspective, VICE spoke with Ellen Komp, the author of Tokin’ Women: A 4,000 Year Herstory. A longtime pot activist and deputy director of California NORML, Komp’s blog (Tokin’ Woman) has celebrated “famous female cannabis connoisseurs” since 2008. VICE: Let’s start with how you personally formed a connection to the cannabis plant and how that led you to become an activist and an advocate. Ellen Komp: I was turned on to cannabis by a sorority sister in college who made it her mission to get me high. It took quite a few tries. Finally, when I realized I was high, I was like, “Oh! This is all it is?” I’d expected to feel drunk or stupid or something, but cannabis was much more interesting than that. It in turn opened me up to a lot of other interests and experiences, but I never really connected with the injustice of the drug war until I encountered The Emperor Wears No Clothes by Jack Herer. After staying up all night verifying things in that book with dictionaries and encyclopedias (because there wasn’t any internet at that time), I became an activist overnight and have never stopped. That was going on 25 years ago now. Did you find marijuana activism to be male-dominated at that time? There were very few women involved. I was always perplexed by that, and always tried to get more to speak up. One reason may be that many women have had their parental rights interfered with because of marijuana, and so they’re afraid their kids could be taken away by Child Protective Services. It never occurred to me at the time that they would want to organize into their own groups, like the NORML Women’s Alliance and Women Grow, but of course those organizations have now taken off like a rocket. It’s great to see. Are there benefits of cannabis use that are unique to women or more pronounced for women? Menstrual cramps, baby! A remedy which goes back to Queen Victoria. Also, personally, I know cannabis really helped open me up socially. Men often tend to socialize around alcohol and violent sporting events, and women sometimes feel threatened in environments like that. So starting with interpersonal relations and extrapolating out from there, I believe women are typically safer and more comfortable in a situation where pot smoking is going on than heavy drinking. You’ve intensely investigated the role women have played historically in the cultivation and medicinal use of cannabis. Take me all the way back and tell me what you’ve learned through your research. And that was possibly the first crack down on cannabis, by the way, which was likely a key component of all that “incense” they were burning. Of course, until very recently, women couldn’t even go to medical school, and female plant healers were persecuted as witches. Joan of Arc was burned at the stake partly for using “witching herbs” like mandrake, for Christ’s sake. That was in the 1400s, so we know the middle ages and the dark ages were indeed dark times for herbal medicines and the predominantly female-led traditions that gathered and administered them. In the 12th century, Hildegard of Bingen, a German composer, philosopher and Christian mystic grew hemp in her garden and wrote two volumes on herbal medicine. She was an incredibly respected woman who corresponded with the Pope and all of the great leaders of her day, but from there I can’t find much marijuana herstory until 1800, when Napoleon invaded Egypt and his troops discovered hashish. Soon European artists and intellectuals were trying hashish, including a lot of women. One was Harriet Martineau, who was the great great great grandmother of Princess Kate Middleton. She was also a social reformer, a novelist, and the first female sociologist. Martineau once wrote of her travels in the desert that ale provided “the greatest possible refreshment, except the chibouque”—a pipe used to smoke hashish. She also related how since Jewish women were not allowed to smoke cannabis on the Sabbath, Arab women would blow smoke at them. Which I believe is the first shot gunning in recorded in history. Is there a particular female cannabis enthusiast of the past whose story speaks to you? The author Isak Dinesen (a.k.a. Karen Blixen) really inspires me. She was played by Meryl Streep in Out of Africa, which was based on her own bestselling memoir of running a coffee plantation in Kenya. She was a great fan of the works of Baudelaire, and enthusiastically followed his example in experimenting with hashish. Timothy Leary, Aldous Huxley, Arthur Miller, Marilyn Monroe, and Orson Welles all courted her attention. She was a giant. For more on women’s role in the weed movement, watch Weediquette Tuesday night at 11:00 PM EST on VICELAND. David Bienenstock is the author of How to Smoke Pot (Properly): A Highbrow Guide to Getting High. Follow him on Twitter. 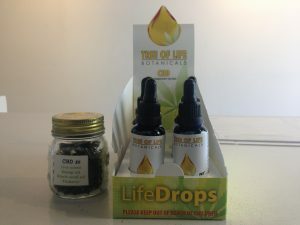 CBD medicine, new breakthroughs and uses. At Westcoast Medicann-Cambie we have really been delving into CBD medicines. CBD is the non-psychoactive, highly medicinal compound in cannabis. CBD has sparked the next level of use in medical marijuana; clinical studies have shown many breakthroughs to treat a whole myriad of conditions. CBD can be used for: anti-seizure, anti-inflammatory, analgesic, anti-depressant, anti-anxiety, hypertension treatment and cancer prevention. CBD works best as an oral tincture or in capsules that are made of Charlotte’s Web extracts and emulsified into various compounds such as MCT oil, Black seed oil and coconut oil with added benefits from turmeric (capsule form only). CBD is a great alternative for those who cannot handle the THC effects, yet need treatment. In the 5 years we have been open, we have run the gamut on all cannabis medicines. Our treatment options are tailored to each patient’s specific needs. CBD seems to be one that even the most conservative patient can use. These sativa plants are raw and now in at the shop! and many m o r e . . .
We’re at our new location!